Incenting Good Behavior? Or Insulting Customers? I got my hair cut today by Diane. Who is great, by the way. We talked about how good hair stylists are often great trusted advisors. Their patients confide in them in ways that lawyers, accountants and consultants can only envy. 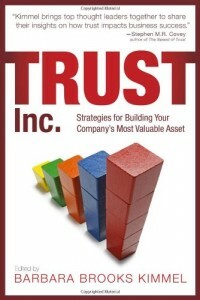 And they do it through executing trusted advisor basics. Listening. Being concerned about the client—soliciting preferences, and only then offering suggestions. Letting the client do most of the talking. Practicing discretion. And yes, doing a great job on the hair. But this isn’t about Diane; it’s about what happened to Diane. She went to an orthodontist. A new one, a dentist with whom she’d had no prior experience, and therefore about whom she had a mild wait-and-see attitude. She got a late start, traffic was busy, weather was bad, and she took a wrong turn. She called to say she’d be a little late. In the end, she got there about 8 minutes after her scheduled appointment. The dentist was young, and had a modern-looking office, including a computerized check-in station, toward which the receptionist motioned her. She input her information and hit enter. Diane is a generous person. I’d have been a bit more peeved. Is there a case for the dentist? Sure. Perhaps it was meant as a mild reminder to patients that they share some responsibility for keeping the scheduled patient flow going during the day. It wouldn’t surprise me if there’s a trend of patients being late, and this guy is doing his best in a humorous way to help shift behavior. But I’m not buying it. To me, it comes off as a heavy-handed move by some customer-phobic techno-dweeb in love with what he imagines to be others’ view of him. I doubt Diane’s going back. I wouldn’t. Would you? 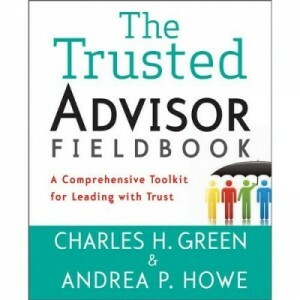 http://trustedadvisor.com/public/trusted_advisor1.png 0 0 Charles H. Green http://trustedadvisor.com/public/trusted_advisor1.png Charles H. Green2009-04-16 10:00:002009-04-16 10:00:00Incenting Good Behavior? Or Insulting Customers? Liberty Mutual comes up with an ad campaign that calms at least one cynic.